Polaroid has a new instant digital camera and it is called Pop. So what’s makes Pop pops? First and obviously, it makes instant print, courtesy of an integrated printer that uses ZINK Zero Ink Printing Technology and second, it prints in the iconic 3×4” format with the Polaroid Classic Border Logo, giving you the familiar 3.5×4.25” print. Now, that’s freaking awesome! Unfortunately, it does not get the classic look; instead, it gets a contemporary form factor in a fun two tone color with a contrasting iconic red shutter button (designed with renowned design studio Ammunition). Other notable features include a 20MP CMOS sensor, dual LED flash, image stabilization, 1080p video recording, a built-in self-timer, a 3.97-inch touchscreen LCD, and WiFi and Bluetooth connectivity. 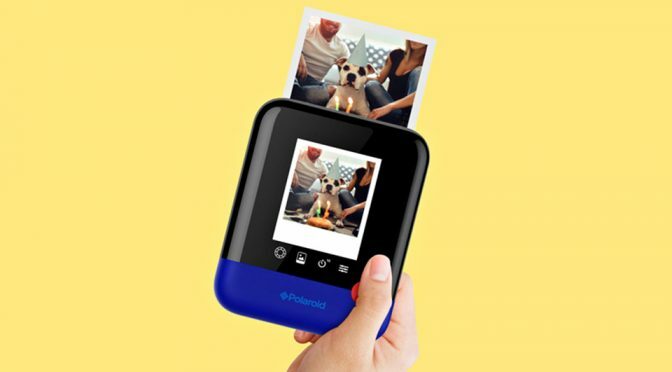 And oh, we almost forgot about another of its brilliant feature: it can edit and enhance prints with, you know, creative filters, digital stickers, effects and controls via the Polaroid print app. Actually, no, that’s not the most brilliant feature. I mean, yes. 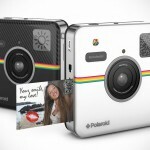 It can do those, but what’s more awesome is, Polaroid Pop can print images taken by your other devices too. Pretty dope, right? 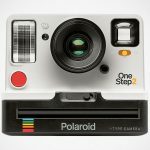 At this point, it is not known when the Polaroid Pop Instant Digital Camera will be available, nor was the price disclosed. But knowing Polaroid, it should be pretty soon.